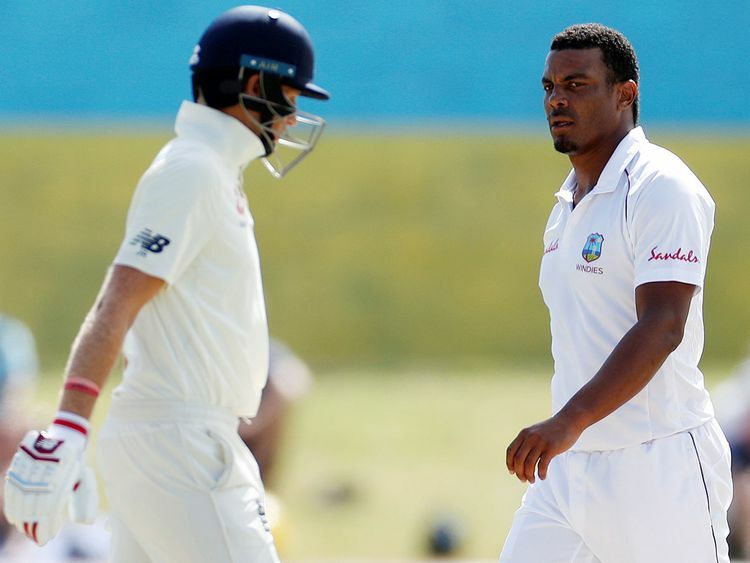 Gros Islet, Saint Lucia: West Indies fast bowler Shannon Gabriel has been charged for language used during the third test against England on Monday, the International Cricket Council (ICC) has said. Gabriel's comment to Joe Root was not audible to television viewers but according to British broadcaster Sky Sports the England captain was heard replying to the bowler: "Don't use it as an insult. There's nothing wrong with being gay". Umpires Rod Tucker and Kumar Dharmasena spoke to Gabriel afterwards and he was charged with breaching Article 2.13 of the ICC's Code of Conduct on Tuesday. "The charge, which was laid by match umpires, will now be dealt with by Match Referee Jeff Crowe," the governing body said in a statement on Tuesday. "Until the proceedings have concluded, the ICC will not comment further." Article 2.13 addresses personal, insulting, obscene or offensive language directed at other players or match officials. Root declined to elaborate on the specifics of the verbal altercation and was asked again about the incident on Tuesday, after England had won the final test in St. Lucia, though West Indies claimed the series 2-1. "As a player you feel you have responsibilities to uphold on the field and I stand by what I did," said the England captain, according to the Guardian. "The ICC have got to handle things and I am not in a position to comment but throughout the series it has been played in the right manner between the two sides. "West Indies have played some fantastic cricket, they are a good bunch of guys and it would be a shame if it tarnishes it." U.K. Sports Minister Mims Davies was among those who praised Root for his stance. "What a Leader, Ambassador and HUGE RESPECT for doing the absolute right thing to properly call this out!" Davies said on her Twitter account. "He is completely right as there simply is NO place in any sport, at any level for discrimination, intolerance and prejudice." Former England cricketer Nasser Hussain said Root's reaction would help cement his legacy. "For me his twelve words as a role model will be in the end more important than a test hundred or possible victory," Hussain tweeted.